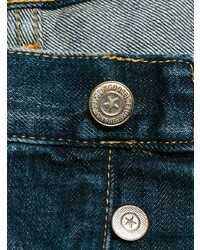 Why not reach for a blue denim jacket and Golden Goose Deluxe Brand Classic Skinny Fit Jeans? Both of these pieces are super comfy and will look stunning paired together. Why not take a dressier approach with footwear and introduce beige leather heeled sandals to the equation? 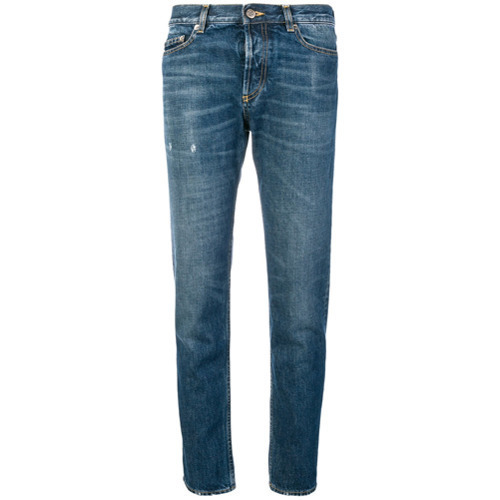 Marrying a red tweed jacket with Golden Goose Deluxe Brand Classic Skinny Fit Jeans is an awesome idea for a relaxed casual yet incredibly stylish ensemble. If you want to feel a bit fancier now, add a pair of white leather pumps to the equation. 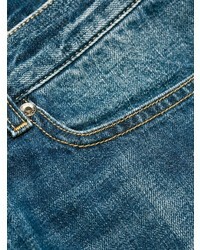 A camel sleeveless coat and blue ripped skinny jeans are among those game-changing pieces that can refresh your closet. Go off the beaten path and break up your outfit by rocking a pair of tan leopard suede pumps. A red knit oversized sweater and blue ripped skinny jeans are a wonderful combo to have in your day-to-day wardrobe. Let your sartorial chops truly shine by rounding off this ensemble with black leather gladiator sandals. 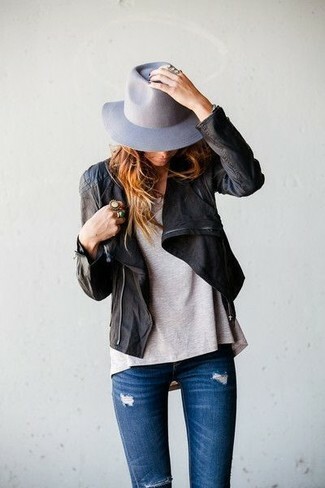 This is solid proof that a black leather biker jacket and Golden Goose Deluxe Brand blue ripped skinny jeans look awesome when teamed together in a laid-back outfit. Try teaming a white sleeveless blazer with Golden Goose Deluxe Brand blue ripped skinny jeans to put together a casual and practical ensemble. Add pink leather pumps to the mix for an instant style upgrade. 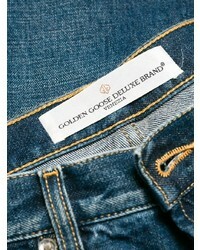 Extra stylish, this combo of a pink coat and Golden Goose Deluxe Brand blue ripped skinny jeans offers variety. 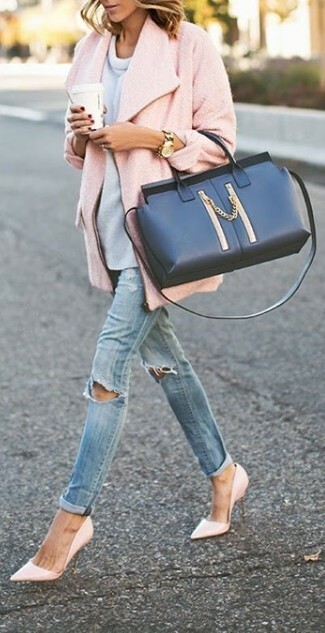 Finishing with a pair of pink leather pumps is a guaranteed way to bring some extra fanciness to this outfit. Wear an olive camouflage military jacket with Golden Goose Deluxe Brand Classic Skinny Fit Jeans to put together a relaxed casual yet stylish ensemble. A black knit cropped sweater and blue ripped skinny jeans paired together are such a dreamy outfit for girls who appreciate relaxed styles. Let's make a bit more effort with footwear and complement this outfit with a pair of black leather mules.